About a year ago I dined at Local 44, which at the time was one of four bar/restaurants owned by the awesome team that also owns Memphis Taproom, Strangelove’s & Resurrection Ale House. Well, technically it’s still one of four bar/restaurants owned by that same awesome team, except Resurrection Ale House has since closed and another venture, Clarkville, is still in the works. Replacing Resurrection in the current rotation – but certainly not in our hearts – is Coeur (which coincidentally, is the French word for heart), located in the Bella Vista neighborhood. Keeping with the theme of its bar brethren, the focus is on craft beer and quality food. However, they’re also adding a touch of French-Canadian influence to the menu. 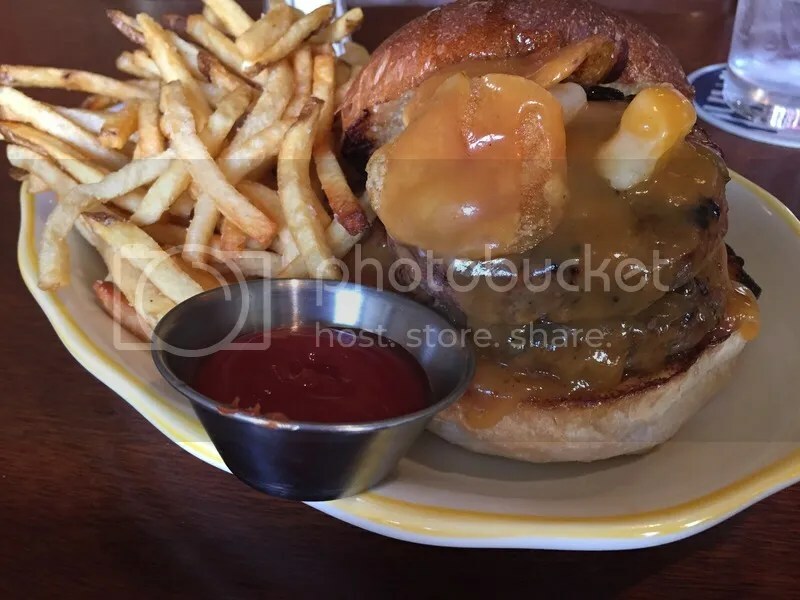 Case in point: the Poutine burger, consisting of two patties topped with brown gravy, cheese curds, fried potato skins and tomato confit on a brioche bun. Posted in Bella Vista, cheese curds, Coeur, French Canadian, gravy, Montreal, potato skins, Poutine. Bookmark the permalink.